The shadows of a dream of my childhood and the twenty centuries of Buddhist icons. Divine manifestations and apparitions of terror, obscure and tangled, beyond clarity and in mystery, vibrating to the breath of the universe, divinely pure and scintillating forms, intense and penetrating into the unknown. As an alive spiritual movement, Buddhism deeply touched the hearts of men, became diversified in absorptions of various stimuli, and variations arose. As salvation was available to all, and not only to a chosen few, Mahayana surged ahead with a vast empyrean of gods and goddesses. New visions enriched metaphysical vitality, sacred formulas (dharanis) became vital companions of meritorious action, hierograms or sacred letters of the alphabet (bija), esoteric mandalas, symbolism of gestures (mudras) become the inner spiritual experience. Complex rituals, divinities in their terrifying (krodha) and pacific aspects (santa), the Transcendental Buddhas in their phenomenal, pare and ideal forms (nirmana-kaya, sambhoga-kaya, and dharma-kaya), and their retinues of experience, as sadhana or visualization incarnated in curves and lines. Austere lines in the play of meditation were ever on the way to form. It was the year 1935 that my father Prof. Dr. Raghu Vira and me walked around the public galleries of the Central Museum, Lahore. I asked him: "Father what do you talk on these statues for such a long time as an hour plus?" He posed a counter question: "Do these images not converse with you?" My response was. "How can these statues of stone speak. If they cannot talk, how will they converse". The conversation between father and son ended. In silence, my father went on studying the Gandhara statues with their depiction of scenes from the life of Sakyamuni and of the jatakas, which narrate his 550 incarnations as bird, beast and human being. My father had traversed enchanting centuries, pondered over the subtle nuances of style, grieved over the destruction of Sikri and other monastic centers, he had disappeared into the objects of his visualization, he was visibly lost in the life, myths, cosmologies, philosophic ideas that these Gandhara masterpieces conveyed to him. Greek motifs playing with the eyes of gods. Two hours had gone by and my father was prepared for his public lecture on Gandhara sculptures. I Had found a challenge to see statuary, no longer from the outside but from within: une vie d' analyse pour une heure de synthese. When we reached home, father gave me The Buddha Story in Stone by H. Hargreaves (Calcutta, 1924) which narrated the scenes on thirty four Gandhara sculptures in the Lahore Museum. A new vision dawned on me. I read the booklet of 43 pages several time and knew every sculpture. I can still recollect the wonder that the mother of Chandaka in sculpture no. 1966 evoked in me. She is "seated most astonishingly in 'European fashion" as she nurses her son and the future caretaker of the horse of the Buddha. Mother, son, stone and Sakyamuni. Two Japanese students came to study Sanskrit, Tantras and Buddhist art under my father. Both of them Chikyo Yamamoto and Shodo Taki were from the Shingon sect of Mantrayana is Japan. Shingon employs Sanskrit mantras in daily ceremonies, in fortnightly homas, and has a very rich tradition of Buddhist art. Yamamoto presented to my father the booklet Footsteps of Japanese Buddhism: the Shingon Sect, a delightful production feature on its cover lotus blooms and a three-pronged vajra in the Japanese sensitivity of colour. It had a Jizo Bosatsu or Ksitigarbha Bodhisattva carved by Hogen Intan in 1294 and is one of the six famous Jizo of Minami-dani, Koyasan. I had just learnt photography and photocopied it with the most elementary Kodak camera. The serene face of Ksitigarbha sitting on a high pedestal was a deep experience. I still have two copied of the photograph I took in 1936 as well as the original booklet on Shingon. I had found a life-long interest in Japanese iconography and this Dictionary carries its impress. Venerable Sangpo of Buryatia in Transbaikalian Siberia worked with my father in 1941. He was a profound scholar of Buddhist philosophy, a master calligrapher of the Lantsha script as well as a painter of thankas with colour pigments from Tibet. I saw him paint scrolls in the splendour of scintillating colours, with so many gods, with so many Tibetan and Mongolian names all translated from Sanskrit. Even the Sanskrit names were strangers. It was a rich reflection of the unknown, cosmograms of a remote world. Thus began my journey into the unending life and infinite light of Buddhist iconography. This Dictionary is a summing up of that quest, dedicated to the memory of my father Prof. Raghu Vira to whom the sculptures and painting were breaths (prana) of the Immense and the Eternal, the Transcendent and the Cosmic. Buddhism is a tradition of the visual, wherein images and murals convey the message of the sutras in a consonance of symbols and shapes stirring the soul to devotion. The earliest Buddhist pictorial representations of the Jatakas at Sanchi sanctify the Teachings of Sakyamuni in the sanatana dimension of five hundred pre-incarnations. It is the 'Art of Eternalisation' of Dharma. Folk tradition were constantly being merged into Buddhism since Asoka had 84, 000 yaksas convert caityas into Buddhist places of worship. Thus began the assimilation of popular deities and cults into Buddhism, an unprecedented extension of the Buddhaksetra. It was the 'Art of Interiorisation'. From the cult of Amitabha, Maitreya and several other Lokesvaras of the Outer Tantras to the esoteric deities of the Inner Tantras tracing their origins from Vajradhara or Vajrasattva was an immense theogony ever in evolution. This gave rise to a vast iconography,, which has been studied from the Sadhanamala whose latest author is Abhayakara-gupta of the twelfth century. Another major source is the Nispanna-yogavali of Abhayakara-gupta. His Munimatalankara is dated to 1114. 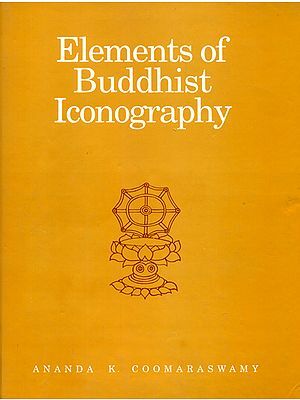 Based on them are the Indian Buddhist Iconography by Benoytosh Bhattacharyya (first edition in 1924, second revised edition in 1958) and Introduction a l'Iconographie du Tantrisme Bouddhique by Marie-Therese de Mallmann (1975). The Sadhanamala, supplemented by the Nispanna-yogavali by the same author remain primary sources. For the first time the present Dictionary has utilized still earlier texts, sadhanas, dharanis, sutras and tantras, and even illustrated pantheons, like the Gobu-shingan of Subhakara-simha (637-735) which gives illustrations and mudras of deities with their Sanskrit captions, his iconography of the Mahavairocana-sutra of AD 725, the sketch-book of Amoghavajra (705-774), the depictions of 316 deities by Chisho Daishi (814-891), the four scrolls of the seven-item manual of Jun-nyu (890-953, who gives the Chinese, Sanskrit and esoteric names, bija, symbolic form, mudra and mantra of every deity), the 428 mudras and mantras and mantras of deities drawn by the Indian monk Suryayasas between 1046 and 1073, the ten scrolls of Yogen (1075-1159), the 57 scrolls of Shinkaku (1117-1180), the 126 scrolls of Kakuzen (1143-1218), the collection of mandalas by Konen (1120-1203), and so on. The vast materials in Lamaist monasteries (like Tabo, Alchi, Gyantse), the 133 Nor mandalas of the Sa. Skya.pas, the various pantheons of Lcan.skya Qutuytu Rol.pahi.rdo.rje and others have been rich sources of iconography for this Dictionary. The Sanskrit, Chinese, Korean, Japanese, Tibetan, Mongolian, Manchu and other names are given under the main entry, as well as cross-referenced in their alphabetic order. 1. Aniconic representation of the haunting absence of Sakyamuni in the main canonized events of his life. 2. Representation of jatakas and avadanas, The jatakas were a statement of the long evolution of the Dharma in hundreds of pre-incarnations. It was the refutation of the notion that Buddhism was new-fangled. Jatakas were its sanatana or perennial dimension. The word avadanas or its Pali form apadana means 'legend', in the Pali title Mahapadana suttanta it refers to the lives of the Seven Buddhas, and in the title Apadanam 'stories' it refers almost exclusively to Arhats. Edgerton (1953:72) says that "its exact meaning is much disputed". The jatakas and avadanas have contributed to the pictorial propagation of Buddhism. 3. Iconic Buddhas and Bodhisattvas. The life of Sakyamuni, the Seven Buddhas of the Past, the Three Buddhas of the Three Times (Dipankara, Sakyamuni and Maitreya of the past, present and future), individual emanations like Bhaisajya-guru, the Buddhas of the Ten Quarters, the 24, 28, 35 and 53 Buddhas (Soper 1959:178-9, 206). 4. Amitabha in the west and Aksobhya in the east with their Sukhavati and Abhirati paradises, become major elements in Buddhist art. Amitabha with Avalokita-svara and Maha-sthamaprapta commences the process of interiorisation. Amitabha is the transformation of solar cults. Avalokita-svara becomes Avalokitesvara and brings along with him a vast array of Lokesvaras. 5. The Avatamsaka-sutras (in the plural) and the Brahmajala-sutra introduces Rocana (Chin. Lu-she-na, Jap. Roshana) as the colossus (abhyucca-deva). The colossi at Bamiyan, Lung-men, Tun-huang are depictions of Avatamsaka iconography. Ten disciples and Ten Bodhisattvas surrounded Bhagvan Rocana. In later times the name Rocana was replaced by Virocana. Sudhana and his fifty-four teachers in the Gandavyuha bring in narrative art and gradual enlightenment. 6. The development of Buddhist sutras was constantly introducing new iconographies. The Lotus Sutra represented Sakyamuni flanked by Samantabhadra and Manjusri. The evolution of Buddhist iconography has also to be studied on the basis of individual sutras for a deeper insight into the meaning of the meaning of the forms as well as their precise identification. The following sutras are pictured on the walls of caves at Tun-huang according to Mr. Shi Pingting 1992:61-64, table on p. 4. 7. 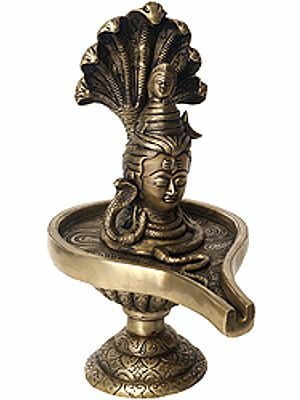 The arise of goddesses like Prajnaparamita, Pancaraksa, Tara, Marici, Janguli, Cunda, Parnasabari, Bhrkuti and various male deities in the collections of sadhanas like Sadaksari Lokesvara, Khasarpana Lokesvara, Simhanada, Manjusri, Canda-maharosana, Heruka, Trailokyavijaya was another significant trend in the evolution of Buddhist iconography. 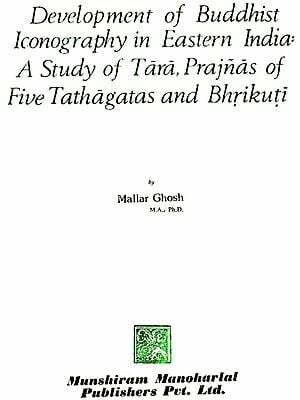 These were classified as kriya-tantras by the Gelukpas and as Outer Tantras by the Nyingmapas. 8. Besides the Buddhas and Bodhisattvas, a new category of deities arose from the solar cults, beginning with Maitreya. From Amitabha of the Ratnakuta-sutras to Rocana (or Virocana) of the Avatamsaka-sutras, thence to Mahavairocana in the Carya-tantras, to the Mahavairocana of the Yoga-tantras (in the Sarva-tathagata-tattva-sangraha, Sarva-durgati-parisodhana, Mayajala). Around them were several deities in the mandalas, whose three-dimensional representation in statues awaits identification, e.g. in Indonesia.